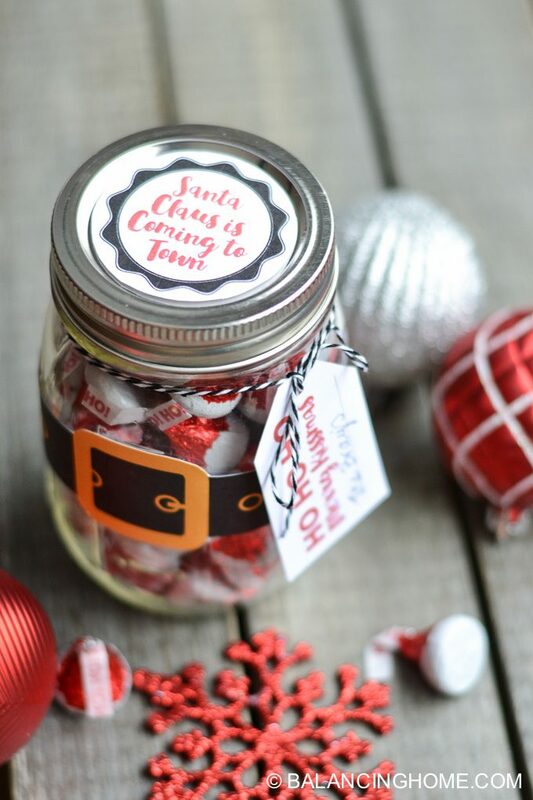 A fun, Christmas mason jar Santa gift, that is affordable and simple using our printable. 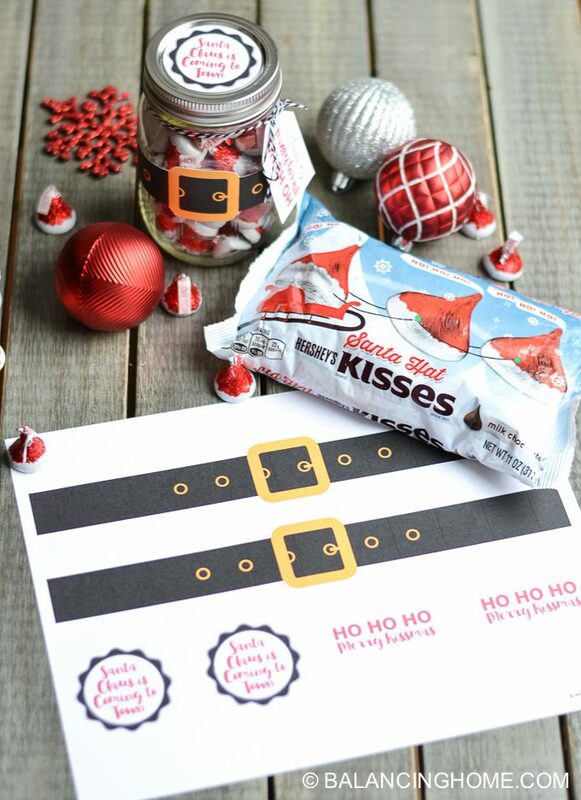 These fun HERSHEY’S KISSES Santa Hat Chocolates carried exclusively at Target are wrapped up so cute for the holidays, they are just meant to be a gift! 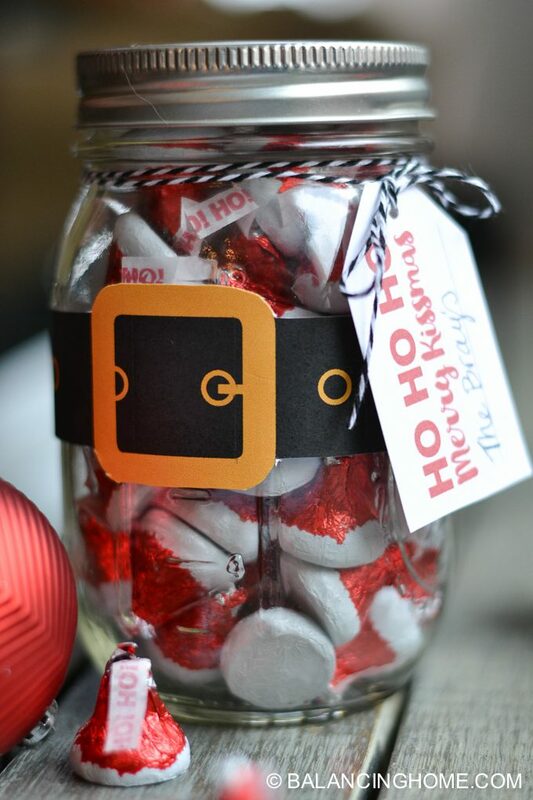 The foil wrap makes them look like a Santa Hat and the plume says, “HO HO HO”. 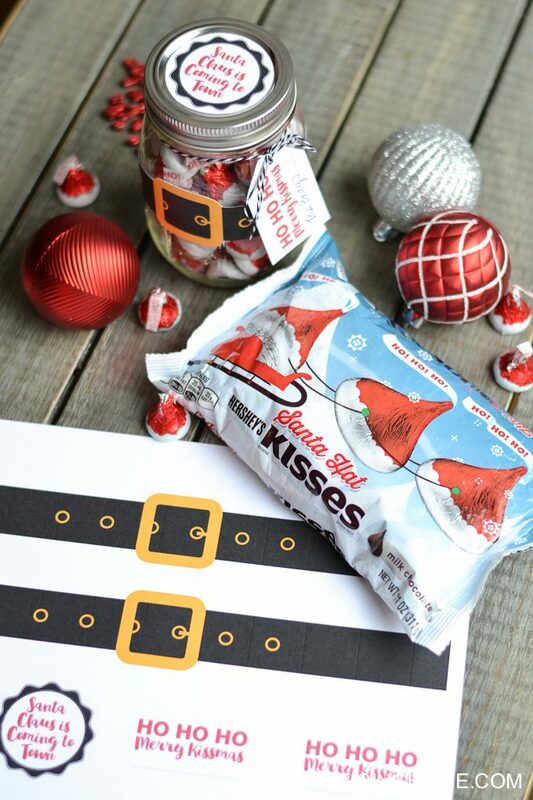 Grab a bag of HERSHEY’S KISSES Santa Hat Chocolates (Buy now), a mason jar, and these printables and you have an instant gift! 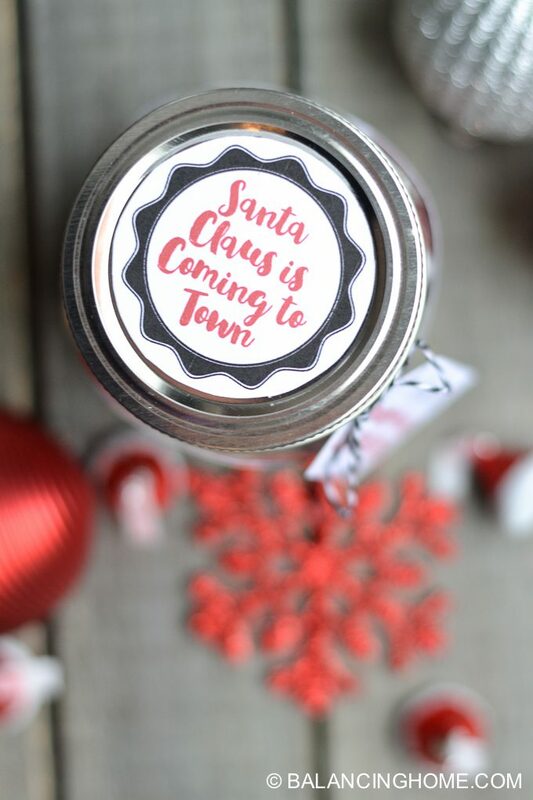 There are enough printable goodies on each page to make two mason jar Santa Christmas gifts. Cut out all your paper goods. I attached the belt and jar lid label using tape. 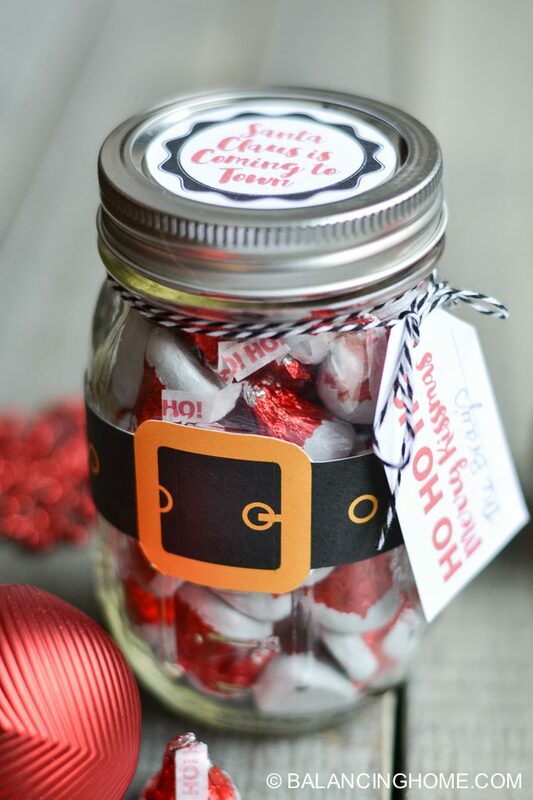 For the gift tag, I punched a hole and attached the tag using string. 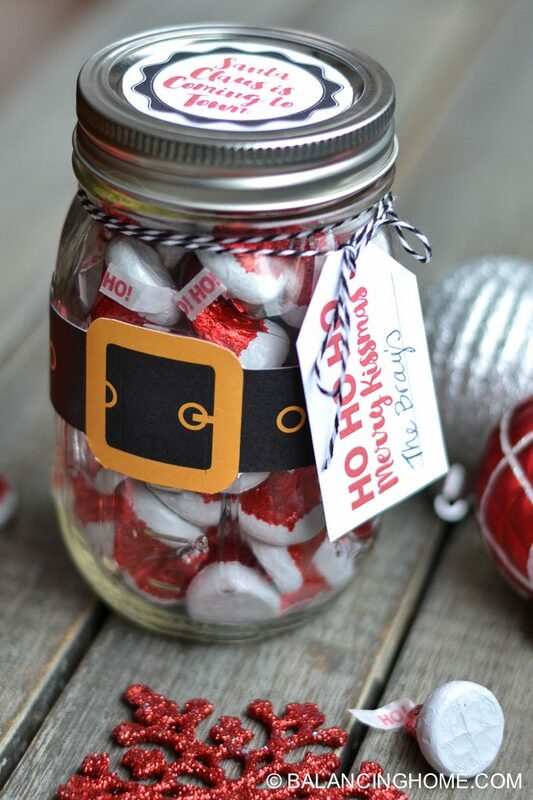 These Mason Jar Santa’s make for super cute, quick and affordable Christmas gifts.